PLAY delivers great performance for the most popular games and comes with components from some of the very best manufacturers on the market. PLAY is the most affordable DreamHack PC with great price performance, all with DreamHack DNA included. With an overclockable AMD Ryzen CPU, Kingston Hyper X RAM and GTX 1060 graphics from Nvidia, PLAY is ready for CS:GO, LOL, and pretty much any game there is. GAMING delivers awesome performance in all new and popular games ranging from the most popular competitive esports games to the latest block buster titles from the biggest publishers. GAMING is built only with the very best components in its class and is fully upgradable and flexible. Whether it's PUBG or Overwatch – GAMING is ready and packed with a 6 GB graphics card from Nvidia and a Samsung NvMe m.2 SSD topped with a Ryzen 5 CPU from AMD. ESPORTS is made to deliver flawless esports performance in real life competitive environments on LAN and on the biggest stages in the esports world. Frag like "coldzera" or mid-lane like "Miracle-" – whatever game you compete in, you'll know you have a machine that's used by professional teams and players on tournaments of the highest level. With Nvidia GTX 1070 8GB graphics card, top performing AMD Ryzen 5, Asus motherboard and one superfast NvMe m.2 SSD from Samsung, ESPORTS can be the deciding factor between a win or a loss. Plan on taking over the world on Twitch or Youtube? STREAMER is the choice for people who want to play in full resolution, perform their best, and still put up a great show for their viewers. An amazing machine with the best components in every corner, for all content creators to make sure their computer is not the bottleneck in their setup. Enjoy a 750 W powersupply from Corsair powering the Prime X370 motherboard & Asus Strix 1080Ti graphics for top-of-the-line performance. Add the AMD Ryzen 7 1700 – hydrocooled by a Corsair H75 – and get the ultimate gaming and streaming experience. 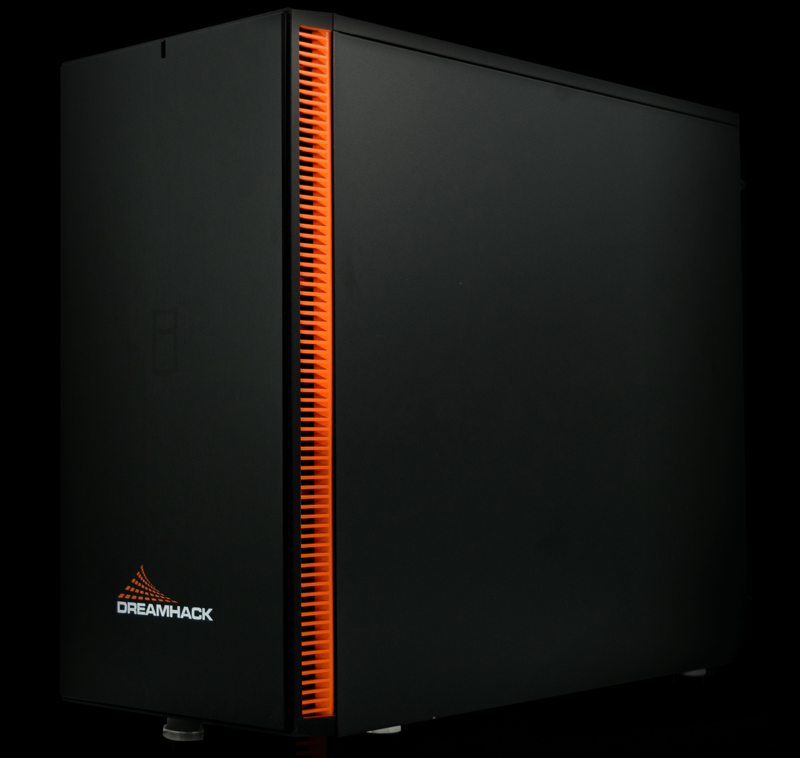 All DreamHack PC's come pre-packed with Windows 10 Home, no bloatware added. DreamHack PC comes with 3 years Nordic Warranty and with telephone and email support. DreamHack PC is built in Sweden by Exertis Captech who also handles the mail and telephone support. You can also contact your local store for questions and information on service and eventual repairs.